To commemorate the 100th anniversary of the brand, Citizen presented a concept model equipped with a new Eco-Drive movement, Calibre 0100, which sets a new milestone in time-keeping technology by achieving an unprecedented accuracy of ±1 second in one year. The world’s most accurate light-powered Eco-Drive movement to date, Cal.0100 offers precise timekeeping, autonomously and continuously, relying solely on the watch’s internal mechanism to deliver precision and reliability. 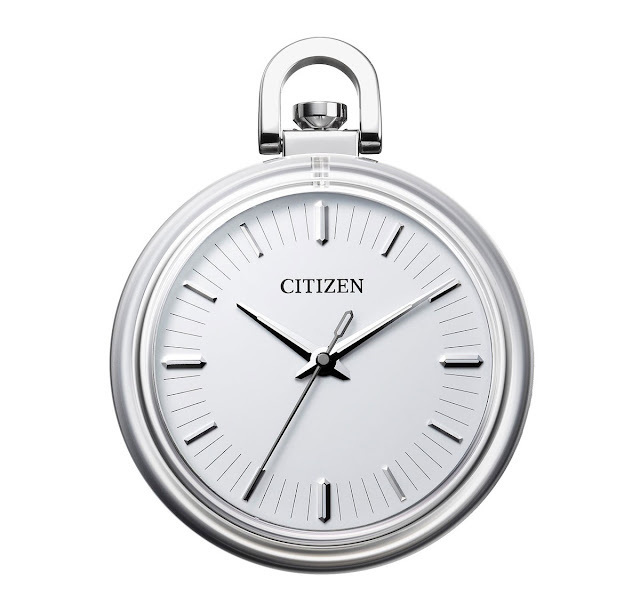 The new movement is showcased in a stainless steel pocket watch inspired to Citizen’s first pocket watch released in 1924, which was also the first to bear the “Citizen” brand name. The black-coloured Cal.0100 (diameter 33.3 mm, thickness 2.92 mm) is visible on the back of the watch through the sapphire glass case. The index hour markers and second hand incorporate a hexagonal design, corresponding to the quartz crystal, which symbolizes ultra-high precision. 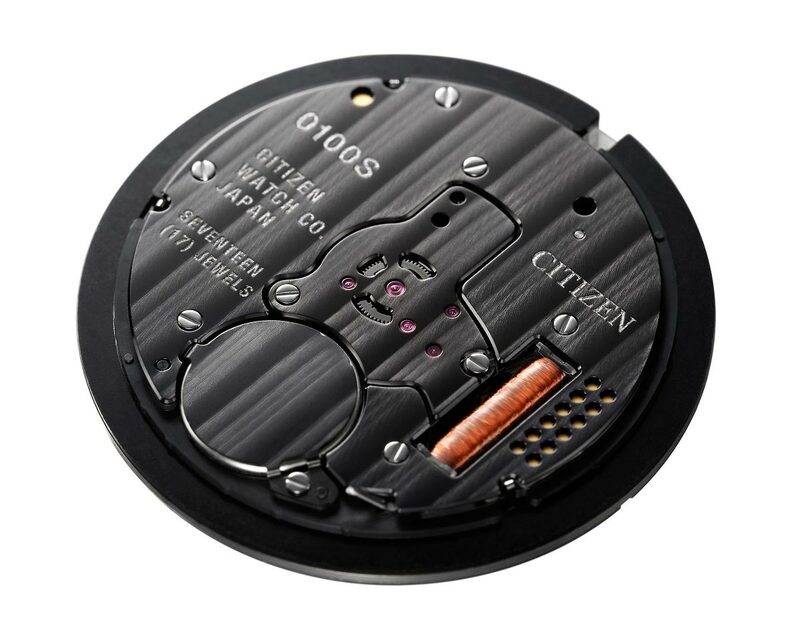 For the new calibre, Citizen designed an original AT-cut quartz oscillator for watches, which minimizes effects that hinder accuracy caused by changes in temperature and gravity by stabilizing fluctuations in frequency and using smaller vibrations. While a traditional tuning-fork-shaped quartz oscillator operates at 32,768 Hz, the AT-cut type quartz oscillator vibrates at a frequency of 8.4 MHz (8,388,608 Hz), and requires a greater amount of electricity to operate. 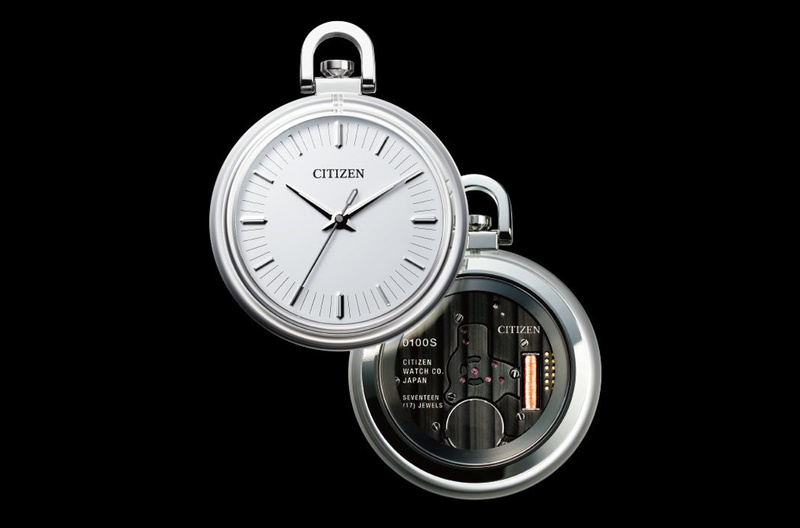 By applying its own power-saving technologies, Citizen enabled the Cal.0100 to run for six months on a full charge, even without the presence of light. Impressive achievement. EcoDrive is a great technology. Citizen Calibre 0100: most accurate Eco-Drive movement to date (±1 second in one year). To commemorate the 100th anniversary of the brand, Citizen presented a concept model equipped with a new Eco-Drive movement, Calibre 0100, which sets a new milestone in time-keeping technology by achieving an unprecedented accuracy of ±1 second in one year. While the Cal.0100 will not be available for sale to the public, the accuracy and technology inside the movement will be introduced in future models, set to launch in 2019.